Uh-oh. Did you forget Mother’s Day is this weekend? No. No you didn’t. 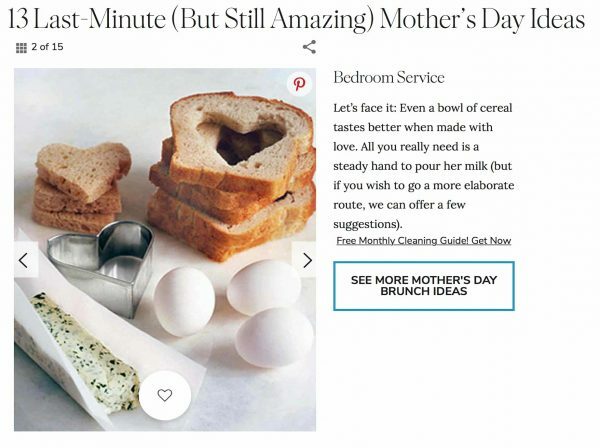 You did not forget Mother’s Day is this weekend. Okay. You did forget Mother’s Day. This doesn’t make you a horrible person. But it does mean that you’re a forgetful son or daughter who needs to get moving RIGHT NOW on fixing this oversight. Fortunately, the superhero of event-planning, Martha Stewart has some help ready for you. So, this week, the link we’re sharing with you isn’t about how to get your financial life in order. It’s about making your Mom feel loved and appreciated.